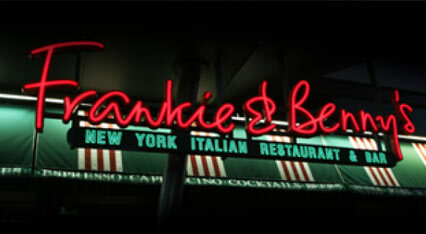 Enjoy a hearty meal at one of Frankie & Benny's or Little Frankie's restaurants. To say thank you for your service, they are offering all Armed Forces community members 20% discount off their food bill for when 2 main courses are purchased from the Main Menu. 20% off discount applies to food bill only. Offer is only valid when 2 main courses are purchased of the Main Menu. Cannot be used in conjunction with any other offer or discount promotion including lunch/set menus. Excludes Mondays 5pm - 11pm. Valid at any Frankie & Benny’s or Little Frankie’s restaurant excluding airport sites.